There’s a reason why most people hate traveling by planes. Yes, security checks and waiting at the airport are part of it, but the biggest problem are other people who simply don’t care about their surroundings. 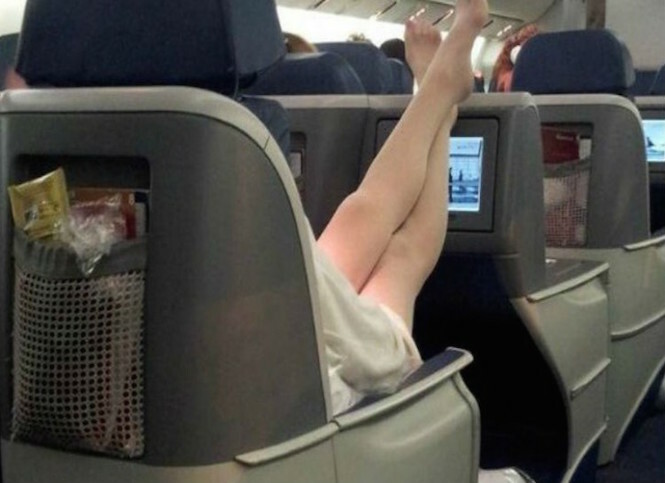 Here are 17 airplane passengers who got a little too comfy. This girl who thinks she’s still in the comfort of her home.